Advanced cementitious composites can be designed to have outstanding combinations of strength (five to ten times that of conventional concrete) and energy absorption capacity (up to 1000 times that of plain concrete). This second edition brings together in one volume the latest research developments in this rapidly expanding area. The book is split into two parts. The first part is concerned with the mechanics of fibre reinforced brittle matrices and the implications for cementitious systems. 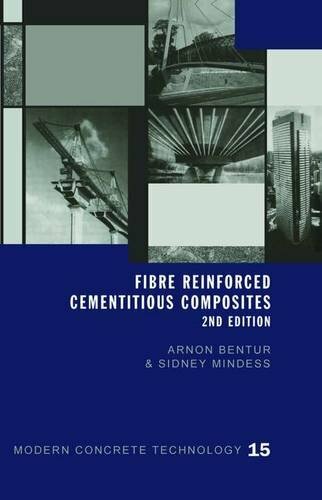 In the second part the authors describe the various types of fibre-cement composites, discussing production processes, mechanical and physical properties, durability and applications. Two new chapters have been added, covering fibre specification and structural applications. Fibre Reinforced Cementitious Composites will be of great interest to practitioners involved in modern concrete technology and will also be of use to academics, researchers and graduate students.